Panasonic teased a new 360 camera they were working on back in November and it became apparent that they were targeting the professional 360 live stream market which is set to explode in the next decade. 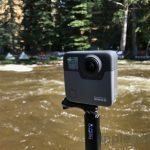 Streaming sports, concerts and other live events in 360 is set to become mainstream soon as broadcasters look to give their viewers an immersive experience. 7 months later and Panasonic have released more details of their new 360 camera system (unceremoniously called the AW-360C10 and AW-360B10) which includes the camera itself and a base unit. I’ll just be calling it the Panasonic 360 camera though. The new camera can livestream in uncompressed 4K resolution at 30fps using 4 lenses. 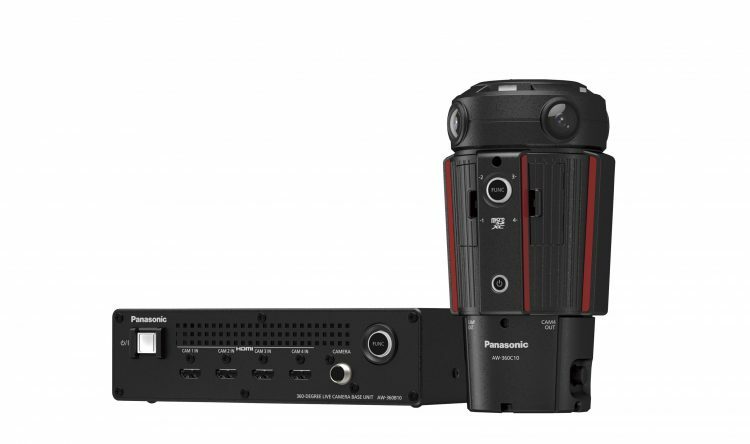 While some other 360 camera can also livestream 360 video at this resolution, the Panasonic sets itself apart by utilising a “Real-time active stitching function” which eliminates the visible stitching seams associated with 360 video. This high precision real time stitching is crucial for live streaming events if you want your audience to experience full immersion in what they are viewing, and it’s only possible thanks to the base unit which handles the expensive processing this required. 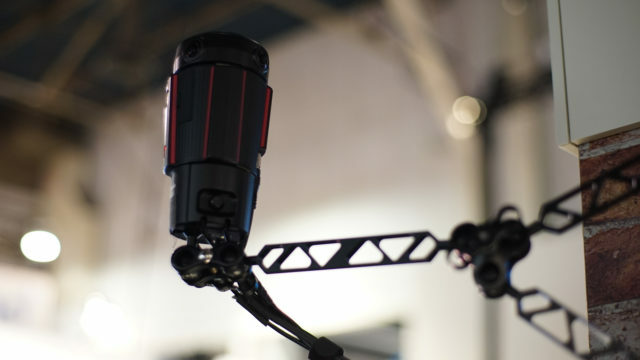 The camera can be controlled remotely with an iPad, which allows the adjustment of manual settings such as white balance and exposure depending on the setting of the video. 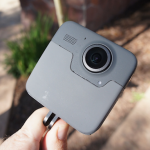 As you might have guessed, this is a not a camera deigned for consumers to go out and shoot some vacation snaps in 360, but for professional broadcasters, or those interested in live streaming something in 360. Panasonic has indicated the camera will be made available in August, however the price has not yet been disclosed.